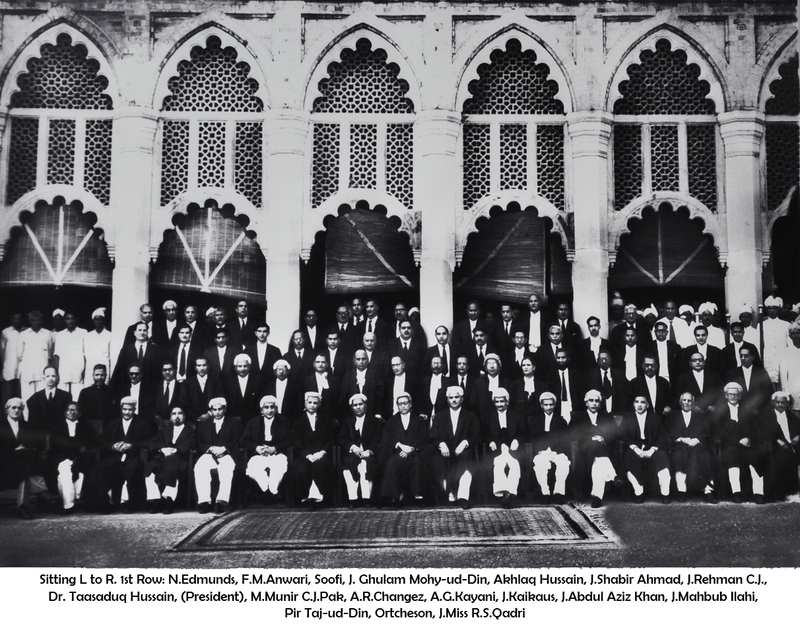 The History of the High Court at Lahore is Spread Over the Last Hundred and Fifty Years. By 1830, Maharaja Ranjit Singh, the famous Sikh ruler of Punjab, consolidated the innumerable small principalities ruled by independent chieftains in the Province. Before the consolidation, there were no Judicial Courts, no written laws and no established authority to maintain or enforce them. The chieftains decided cases according to their own whims and discretions certain rules of customs for settlement of civil and criminal disputes through arbitrators governed the field, but they were by no means uniform or reputable. Even during Maharaja Ranjit Singh’s period, no great judicial reforms were introduced. 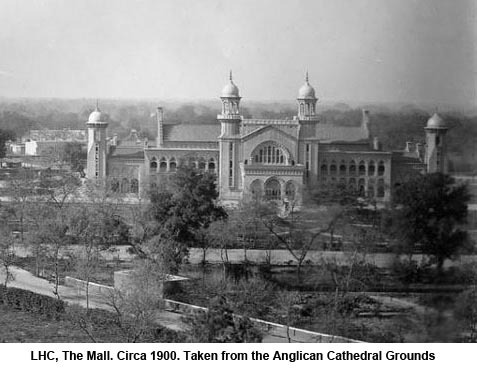 The Saddar Adulate Court (Chief Court) at Lahore was the sole Court in his realm. There were officers dealing with fiscal and military matters, but none specifically to dispense civil or criminal justice. The annexation of the Punjab by the British was immediately followed by the creation of a Board of Administration in 1849 consisting of three Members. The Board had powers of a Sudder (Chief) Court of Judicature and a Sudder Board of Revenue. In 1853 the Board of Administration was replaced with a Chief Commissioner, and two Principal Commissioners separately appointed for Judicial and Administrative work. The Judicial Commissioner was the Chief Judge of appeal and his Court was the final appellate Court. By the Punjab Courts Act, XIX of 1865, inter alia, seven classes of Courts were brought into being in the Civil Jurisdiction. Starting from the Court of Tehsildar at the bottom to the Court of the Judicial Commissioner at the top. 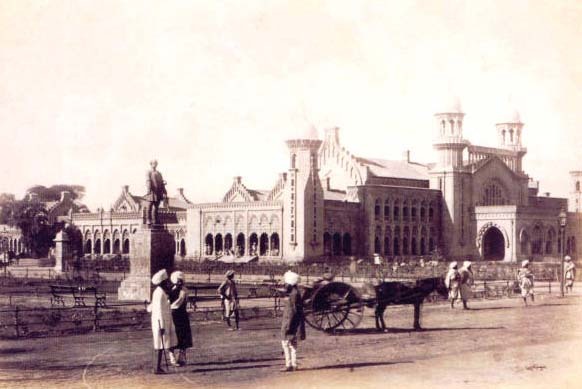 The Chief Court Act, IV of 1866 constituted the Chief Court of the Punjab as the ultimate Court of Appeal from the Civil and Criminal Courts in the province. The Chief Court was also vested with Extraordinary Original Civil Jurisdiction and Supervisory Jurisdiction over Subordinate Courts. In 1877, the Punjab Courts Act, (XIX of 1865) and the Chief Court Act (IV of 1866), were repealed by the Punjab Courts Act, (XVII of 1877), which consolidated and re-stated the law inter alia relating to the Chief Court. Over the years, it was noticed that the appeals to the Chief Court had increased to astronomical proportions and the work was greatly in excess of what the permanent and additional judges of the Court could dispose of. Though additional Judges had been appointed to clear off arrears, it was thought advisable to give some form of greater finality to the decisions of the lower appellate courts to stem the tide of appeals being preferred to the Chief Court. It was also thought advisable to reconstitute the subordinate courts and revise their scope, powers and jurisdiction. The Punjab Courts Act, XVIII of 1884, which repealed the Punjab Courts Act of 1877, not only touched the question of subordinate courts, their reconstruction, jurisdiction and powers, but also modified and restated the law regarding the constitution, powers and jurisdiction of the Chief Court as well. In 1899, the Secretary of State for India in Council, by its Resolution dated 25th April, 1899, laid down as a principle that all Chief Justices and Judges of the High Courts in India thereafter to be appointed would be required to vacate their offices on attaining the age of sixty years. 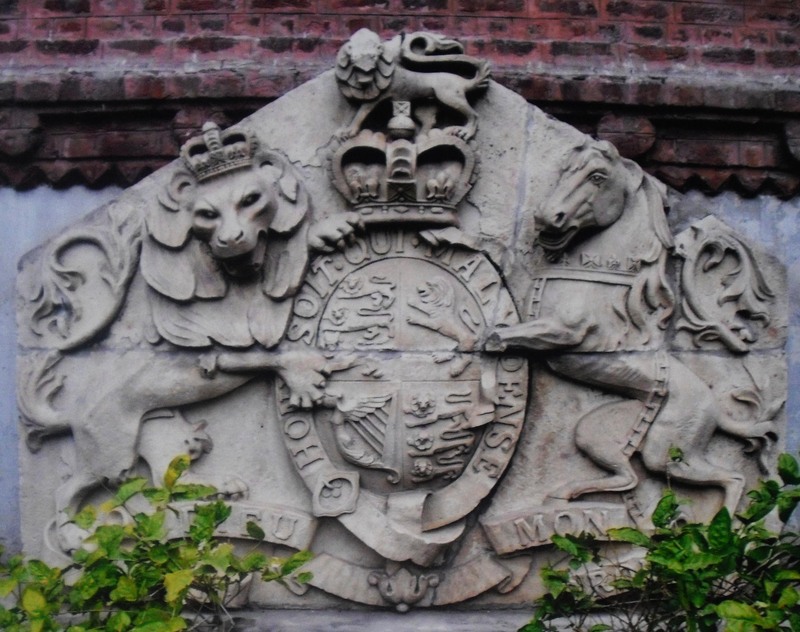 From 1911 two additional Judges, from 1917, the third additional Judge was sanctioned and from 1918, the fourth additional Judge was added and this temporary strength of four Judges continued till the Letters Patent was granted to the Court in 1919. In 1911 the Imperial Parliament passed the Indian High Courts Act 1911 giving the Royal Sovereign the power, inter alia, to establish new High Courts in British India from time to time as the occasion arose and to appoint temporary Additional Judge for a term not exceeding two years. Since, however, the Chief Court did not come within the category of the High Court, all additional appointments of temporary Judges to the Chief Court were made by the Governor-General under various Punjab Courts Acts enacted in 1884, 1914 and 1918 (as amended from time to time) read with the Acting Judges Act, XVI of 1867. Four years later, the Govt. of India Act, was repealed by the Government of India Act, 1915. The new Act provided that all the existing High Courts established by Letters Patent would be treated as High Courts for the purposes of the said act that each High Court, would consist of a Chief Justice and as many other Judges as His Majesty thought fit to appoint, that the Governor-General in council would appoint persons to act as Additional Judges for such period not exceeding two years as where necessary, and that the maximum number of Judges of a High Court including the chief Justice and the Additional Judges would be twenty. The Act also provided that the Judges would hold office during His Majesty’s pleasure and that Acting Judges would be appointed by the Local Governments. The new Act also granted the Royal Sovereign authority to establish High Courts by Letters Patent in any territory in British India and to confer on any High Court so established any such jurisdiction, power, and authority as were vested in or might be conferred on any High Court existing at the commencement of that Act. The Letters Patent establishing the Lahore High Court was granted pursuant to the provisions contained in Section 113 of the Government of India Act, 1915. In 1919, under the Letters Patent creating the High Court of Judicature at Lahore, the Judges thereof were appointed directly by His Majesty the King Emperor. The Court of the Province was for the first time constituted as a Court of Record with powers to punish persons guilty of its contempt, a power which the previous Chief Court did not possess. The permanent strength of the High Court was limited to seven Judges — one Chief Justice and six Puisne Judges. The jurisdiction of the High Court was laid down by its Letters Patent; it had jurisdiction over the Provinces of the Punjab and Delhi. It was constituted the highest Appellate Authority in Civil and Criminal cases It possessed extraordinary Civil and Criminal Jurisdiction. It also exercised in Matrimonial, Probate and Administration matters Original Jurisdiction. By Clauses 10 of the Letters Patent, Civil appeals were provided against the judgment of a single Judge to a Bench of two Judges, subject to certain stated conditions. From 1921 onwards the Judges were required to give an undertaking upon appointment to their office, not to resume practice at the Bar on their retirement. The Government of India Act, 1935 made certain radical changes in the constitution and powers of the various High Courts in British India. The new Act provided that the Judges would hold office during good behaviour, whereas previously they held office during His Majesty’s pleasure. Instead of the ceiling of twenty Judges fixed by the earlier Act, the present Act left it to His Majesty to fix the number of Judges separately for each High Court depending upon their requirements. All acting appointments of Judges were left in the hands of the Governor-General and the powers of the Local Governments were withdrawn. Under the old system, the Chief Justice had always been a Barrister Judge. The new Act removed this limitation and opened the Chief Justiceship to Civilian Judges as well. The new Act also fixed the 60 years age limit for High Court Judges. By the Government of India (High Court Judges) Order, 1937, the maximum number of Judges fixed for the Lahore High Court was 15. The said Order also prescribed the scale of pay and rights as to leave, pension gratuity, etc, of the various judges serving the different High Courts in India including the Lahore High Court. In the middle of 1947 by the enactment of a master instrument captioned, the Indian Independence Act, 1947, the Imperial Parliament created the two independent Dominions of Pakistan and India. The High Courts (Punjab) Order, 1947, a subsidiary instrument of the Act created a new High Court of Judicature for the territory of East Punjab (in India) as from the 15th day of August, 1947. Side by side, the High Court (Lahore) Order, 1947, preserved the continuance of the High Court at Lahore with all rights, powers and privileges as hitherto enjoyed and possessed by it before the appointed day. The Governor-General of the Dominion of Pakistan became the substitute of the Crown in matters of appointment etc., of Judges of the Lahore High Court. After the Partition, the Governor General of Pakistan fixed the strength of the Lahore High Court at 6 permanent Judges and one Additional Judge with effect from 28th September, 1948. On 6th July, 1954, Government of India (Amendment) Act, 1954 was passed. By this new Act, all High Courts in Pakistan were invested for the first time with powers to issue to any person or authority, including the Government itself in appropriate cases, writ in the nature of Habeas Corpus, Mandamus, Prohibition, Quo Warranto and Certiorari. On 30th September, 1955 the Constituent Assembly of Pakistan passed the Establishment of West Pakistan Act, 1955. By Section 7 of the Establishment of West Pakistan Act, 1955, the Governor-General of Pakistan was invested with the power to establish, by Order, a High Court for the Province of West Pakistan to replace the High Court of Lahore. The High Court of West Pakistan(Establishment) Order XIX of 1955, (which came into force on 14th October, 1955) established the legal foundation for the High Court of West Pakistan and provided for various matters in relation to its jurisdiction and powers. The Order inter alia provided that the new High Court of West Pakistan would have such Original, Appellate and other jurisdiction and such powers and authority in respect of the territories included in the Province of West Pakistan as the High Court of Judicature at Lahore had immediately before the commencement of that Order. By virtue of Article 6 of the High Court of West Pakistan(Establishment) Order, 1955, read with Section 7 of the Establishment of West Pakistan Act, 1955, Judges of the Chief Court of Sind and the Judicial Commissioners’Court at Peshawar became Judges of the High Court of West Pakistan, entitled to terms and conditions of service, not less favourable than those to which they were entitled as Judge of the High Courts from which they were transferred. Persons who were immediately before the date of the establishment of the High Court of West Pakistan serving as temporary or additional Judges became, on the interacting day, temporary or additional Judges, as the case may be of the High Court of West Pakistan. The 1956 Constitution provided for a High Court for each of the two Provinces and declared that the existing High Court for the Provinces of East Bengal and West Pakistan functioning before the Constitution Day would be deemed to be High Courts, under the Constitution, for the Provinces of East Pakistan and West Pakistan respectively. Under the Constitution, both the Provincial High Courts retained the jurisdiction and powers as were exercisable by them immediately before the Constitution Day. Likewise, persons holding office as Chief Justice and Judges of the two Provincial High Courts, continued to retain their offices on the same terms and conditions as to remuneration and other privileges as were applicable to them immediately before the Constitution Day. As previously provided in the Government of India Act, 1935, the new Constitution declared the two Provincial High Courts to be Courts of Record and provided for the appointment of permanent and acting Judges by the President of Pakistan (instead of the Governor-General), for their holding of the office during good behaviour and for their retirement at the age of 60. Unfortunately, the new Constitution did not provide for the appointment of temporary additional Judges to any of the two High Courts. The qualification for appointment of persons as Judges of the said High Courts were altered. Pakistan Citizenship was made a pre-requisite. The bifurcation previously created between Barristers and Pleaders was removed and both were grouped into one compartment for eligibility, namely, advocates or pleaders having at least ten years’ standing in both or either of High Courts. The qualifying period of five years service previously laid down for persons holding judicial officers in British India not inferior to that of a subordinated Judge, or judge of a Small Cause Court, was raised to ten, but the enumeration describing the two particular types of judicial offices to be held was removed. The appointment of all Judges by the President was made conditional on the President first seeking advice from the Chief Justice of Pakistan, the Governor General of Province to which the appointment related and where the appointment was out that of the Province to which the appointment related and where the appointment was not that of the Chief Justice, the Chief Justice of the High Court of that Province. The Constitution also gave the President the power to transfer a Judge of a High Court from one High Court to the other High Court after securing the Judge’s consent and after consultation with the Chief Justice of Pakistan and the Chief Justice of the Court of which the proposed transferee was a Judge. The two High Courts were given power, throughout the territories in which they exercised jurisdiction, to issue to any person or authority (including the government directions, orders or writs (including writs in the nature of habeas corpus, mandamus, prohibition, quo warranto and certiorari) for the enforcement of all or any of the Fundamental Rights contained in Part II of the Constitution and for any other purpose generally. The second constitution of Pakistan was promulgated on 1st March 1962 and came into force on 8th June, 1962 on which date the National Assembly met for the first time at Rawalpindi. Several Orders were passed to remove difficulties coming in the way of the effective operation of the Constitution. Under the said Constitution, there was to be a High Court for each of the two Provinces, consisting of such number of Judges as at least ten years, standing and who had served as, or exercised the powers of a District Judge for at least three years, the provision was replaced by one which enabled only members of such Civil Services as were specially prescribed by law for the purpose of the said Article and who had served as or exercised the function of District judges for the period of not less than three years, to be eligible for appointment. After the Constitution came into operation, the Civil Service of Pakistan was not included as a Service prescribed by law for the purposes of Article 92. The new Constitution provided for the appointment of additional Judges, unlike the previous of which did not contain any such provision. Whereas under the previous Constitution, the right to invoke the Supreme Court’s jurisdiction was itself a fundamental right, under the new Constitution the Supreme Court’s jurisdiction to enforce Fundamental Rights was transferred to the High Courts, with this difference that the right was not one which could be invoked as a fundamental right but was one which could only be enforced subject to the High Court’s discretion. The previous Constitution Act gave wider powers to the High Courts for the purpose of issuing Writ, directions and orders but the new Constitution while preserving the Writ Jurisdiction narrowed down the limits within which it could be exercised and added the pre-requisite that it should not be issued where other adequate remedies were provided by law. It further contained a provision prohibiting the issue of writ in relation to persons in the Defence Services of Pakistan in respect of their terms and conditions of service or matters arising therefrom or in respect of action taken against them as members of such Services and in relation to other persons in the Service of Pakistan, in respect of their terms and conditions of service, except those as were specified in the Constitution itself. In many other respects the provisions in the Chapter dealing with the High Courts in the new Constitution Act were a parallel if not similar to the provisions existing in the Constitution Act of 1956. Through P.O. of 1969 the High Court Judges (Retiring Age) Order, P.O. 8 of 1969, the anomaly created by Article 178 of the Constitution of 1962 was removed by providing that notwithstanding anything contained in the said Constitution, a Judge of a High Court could hold office until he attained the age of 62, unless he resigned or was removed from office earlier in accordance with the procedure prescribed for such removal. On 14th August, 1973, the Constitution of the Islamic Republic of Pakistan, 1973, came into force. No special change was made in the term and conditions of the Senior Judges. However, a Special Chapter headed “General Provisions relating to the judicature” was added, which inter alia provided constitutional protection to the remuneration and other terms and conditions of service of Judges of the Supreme Court the High Court, barred Judges during their term of office, from holding offices of profit the Service of Pakistan or occupying other positions carrying the right to remuneration or the rendering of services and after their retirement or resignation from holding offices of profit (other than judicial or quasi judicial offices or the office of Chief Election Commissioner or of Chairman or member of the Council of Islamic Ideology) till the expiry of two years after they ceased to hold their offices; and prevented permanent Judges after their retirement from pleading or acting in Courts in which they were holding office or before Courts or authority within its jurisdiction. The said Chapter also provided for the Constitution of a Supreme Judicial Council of Pakistan, consisting of the Chief Justice of Pakistan, the two next most senior Judges of the Supreme Court and the two most senior Chief Justices of the high Courts, for the purposes of issuing a Code of Conduct to be observed by the Judges of the Supreme Court and the high Court and for holding inquires on references by the President into the charges of physical or mental incapacity of or misconduct against Judges of the Supreme Court or the high Courts and, where such incapacity or misconduct was provided, to recommend their removal. In April, 1974, certain further amendments were made to the High Court (Traveling Allowances) Order 4 of 1965, inter alia raising the special rate of allowance admissible to Judges when travelling on duty and liberalizing the travel allowance admissible to them for journeys from their home town to the place posting and on retirement from their last place of posting to their home town. In May, 1974, certain important amendments were made to the Constitution, 1973, some of which related to the High Court which permitted the temporary transfer of judges from one High Court to another. On 13th September, 1976, the Constitution (Fifth Amendment) Act, LXII of 1976, was enacted which brought about important changes in the Constitution relating to the Supreme Court of Pakistan and the High Courts in the provinces. Articles 179 and 195 were extended to provide for the retirement of the Chief Justice of the Supreme Court and the Chief Justice of a High Court, whether appointed before or after the commencement of the aid Constitutional Amendment, on their completing a term of office of five and four years respectively as such Chief Justice, unless they sooner attained the age of 65 and 62 years respectively. The amendment allowed the Chief Justice the option either to retire from their offices and receive the pension to which they would be entitled if the had retired from office on attaining the ages of 65 and 62 years respectively, or to assume the office of most senior of the other puisne judges of the Supreme Court or the High Court and to continue to receive the same salary which they were receiving while holding the office of Chief Justice. The amendments also provided that a person who once held office as Chief Justice of the Supreme Court or the High Court and where such person assumed the office of the most senior of the other puisne Judges, the Judge who was until then the most senior of the other puisne, would rank next after the person who ceased to be the Chief Justice in order of seniority. Article 206 was also extended to provide that a Judge of a High court who did not accept appointment as a Judge of the Supreme Court, would be deemed to have retired from his office and, on such retirement, he would be entitled to receive a pension calculated on the basis of the length of his service as Judge and total service, if any, in the service of Pakistan. These amendments were brought about art the instance of a special request made by the Chief Justice of Pakistan to the Prime Minister in that behalf.\, as some of the Supreme Court had, in the past, refused to do so on one pretext or the other and had prevented the Supreme Court from receiving the best talent available, which it was its right to receive in the public interest. The matter came to a head when Chief Justice Iqbal refused to join the Supreme Court for certain Personal reasons. The amendment to Article 195 directly affected the retention of office of Chief Justice by Mr. Justice Sardar Muhammad Iqbal, who opted for retirement. Apart from these sweeping changes made in the Articles of the Constitution relating to the retirement and resignation of Judges of the Supreme Court and the High Courts, clause (3-A) of Article 199 of the Constitution of the High Court relating to the enforcement of Fundamental rights and the issue of orders in the nature of writs, was also substituted, atrociously circumscribing its jurisdiction. The new substituted clause prevented a High Court from making (a) an order prohibiting the making, or suspending the operation, of an order for the detention of any person under any law providing for preventive detention, (b) an order for the release on bail of any person detained under any law providing for preventive detention, (c) an order for the release on bail, or an order suspending the operation of an order for the custody, of any person against whom a report or complaint had been made before any Court of Tribunal, or against whom a case had been registered at any Police Station, in respect of an offence, or who had been convicted by any Court or Tribunal, (d) an order prohibiting the registration of a cases at a Police Station, or the making of a report or complaint before any Court or Tribunal, in respect of an offence, or (e) any other interim order in respect of any person referred to in categories (a) to (d) above. The amendment also provided that any such order made at any time after the commencement of the previous, that is to say, the fourth Constitutional orders, that were pending before any High Court would abate. The amendment was also made applicable to the disposal of applications made in petitions for leave to appeal, or in appeals, from orders such as were referred to in clause (3-A|) that were pending before the Supreme Court immediately before the fifth Constitutional amendment. On 21st of August, 1978, the Laws (Continuance in Force) (Sixth Amendment) Order, C.M.L.A. 1 of 1977, was passed further extending the time under clause (3) of Article 195 of the Constitution for bringing about the separation of the judiciary from the executive. In December, by the Shariat Benches of Superior Courts Order, P.O.22 of 1978, a Shariat bench was created in the High Court, as in the other High Courts, in pursuance of the policy to bring about Islamization of the judiciary. The Shariat bench was to consist of three Muslim Judges of the High Court, to be appointed by the President on the recommendation of the Chief Justice of the Court. A Shariat Appellate bench was also created in the Supreme Court to consist of three Muslim Judges of the said Court to be appointed by the President on the recommendation of the Chief Justice of Pakistan. The Shariat bench was given powers to examine and decide all questions relating to whether or not any law or provision was repugnant to the injunctions of Islam, as laid down in the Holy Quran and the Sunnah of the Holy Prophet. 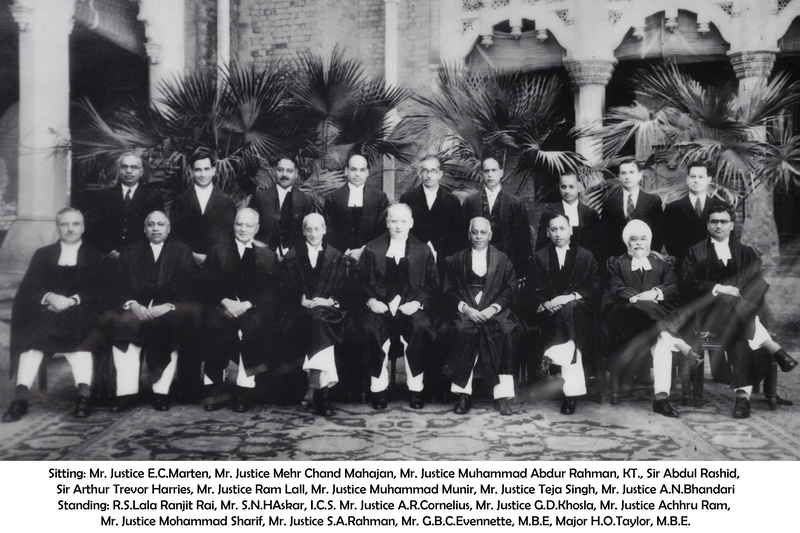 During May, 1979, as a first step towards the separation of the Judiciary from the Executive, in order to fulfill the Constitutional requirement of Article 175 (3) of the Constitution of Pakistan, the Government of the Punjab placed the services of 41 Extra Assistant Commissioners under the control of the High Court provisionally, for their posting as Judicial magistrates exercising powers under section 30 Cr.P.C. for the disposal of criminal cases. These officers otherwise remained under the administrative control of the Government and their services were repatriable to the Executive. Later, as time progressed, the number of such magistrates kept dwindling, without any prospects of their being merged in the Judiciary, or the Judiciary being separated from the Executive. In November, the Superior Courts (Courts Dress and Mode of Address) Order, P.O. 15 of 1980, was enacted to regulate Court dress and mode of address in the Superior Courts effective 1st November, 1980 which was the first day of the 15th Century Hijra. Under the said Order a Judge of a Superior Court was to wear, whilst he was attending sittings of the Court, a black sherwani without bands and, during winter, a black gown, and whilst he was attending State or ceremonial functions, a black sherwani without bands. In case a Judge used a headgear, the Order provided that it was to be a Jinnah cap of black colour. The use of the expressions “My Lord” and “Your Lordship” and the like, in relation to a Judge was ordered to be discontinued and it was provided that a Judge should be addressed as “Sir” or “Janab-e-Wala” or `Janab-e-Ali” and he was to be referred in judgments, correspondence or other instruments as “Mr. Justice” so and so or the like. On 1st January, 1981, by the High Courts (Establishment) Order (Punjab Amendment) Ordinance, 1 of 1981, permanent benches of the Lahore High Court were established with immediate effect at Bahawalpur, Multan and Rawalpindi. The said Ordinance amended the High Court (Establishment) Order, P.O. 8 of 1970, in its application to the Province of the Punjab, by substituting clause (3) of Article 3 of the President’s Order with new clauses (3) of Article 3, (3A), 3B) and (3C) and adding a new Article 7-A thereto. Under the new clause (3) of Article 3, the Lahore High Court and the Judges and Divisional Courts thereof were enjoined to sit at their principal seat and the seats of its Benches, but could hold, at any place in the Province, Circuit Courts consisting of such of the Judges as the Chief Justice may, from time to time, nominate. Under clause (3A) of the said Article, the Chief Justice had the power to nominate, from time to time, Judges to the three Benches. Under clause (3B) of the same Article, all proceedings relating to the Civil Divisions of Bahawalpur, Multan and Rawalpindi pending in the Lahore High Court immediately before the commencement of the Ordinance, stood in the Lahore High Court immediately before the commencement of the ordinance, stood transferred to the benches at Bahawalpur, Multan and Rawalpindi respectively. Under clause (3C) of the said Article, the Chief Justice had the power to make provision for assigning the areas in relation to which the benches were to exercise jurisdiction, the transfer of proceedings pending in the Lahore High Court, the Benches or the Circuit Court to a Bench or to a Circuit Court or to the Lahore High Court, as the case may be, the determination of cases or classes of cases which could be disposed of by the Judges nominated to the Benches or the Circuit Courts and for all matters incidental, supplemental and consequential thereto. The Ordinance also gave the Chief Justice the power by order to delegate from time to time, all or any of his powers and functions to any Judge and in like manner to withdraw all or any of such powers. On 24th March, the Provisional Constitution Order, C.M.L.A. 1 of 1981, (hereinafter to be referred to as “the P.C.O.”) was promulgated. Ten out of its eighteen Articles mainly dealt with the Supreme Court and the High Court. Articles 5 and 6 provided for the appointment of adhoc Judges of the Supreme Court and the power of the Supreme Court to transfer cases from one High Court to another. Under clause (3) of Article 7, the Lahore High Court was provided a Bench each at Bahawalpur, Multan and Rawalpindi. Under clause (4) of the said Article, the bench referred to in clause (3), or established under clause (4) was to consist of such of the Judges of the High Court as would be nominated by the Chief Justice from time to time for a period of not less than one year. Under clause (1) of the said Article any High Court in existence immediately before the commencing day was to continue to have its principal seat at the place where it had such seat before that day and, under clause (2) thereof, each High Court and the Judges and the Divisional Courts thereof were to sit at the principal seat and the seats of its Benches and could hold, at any place within its territorial jurisdiction, Circuit Courts consisting of such of the Judges as may be nominated by the Chief Justice. Under clause (6) of the said Article, the Governor in consultation with the Chief Justice of the High Court concerned, could make Rules assigning the area in relation to which each Bench could exercise jurisdiction vested in the High Court and respecting all incidental, supplemental or consequential matters. Article 8 provided for the appointment of an Acting Chief Justice, if the office of the Chief Justice of a High Court was vacant or the Chief Justice was absent or unable to perform functions of this office due to any other cause. Article 9 laid down the powers of the High Court to issue writs, parallel and on lines almost similar to Article 199 of the 1973 Constitution as it last stood with amendments prior to the promulgation of the P.C.O. Article 10 dealt with the transfer of High Court Judges, on lines almost parallel to Article 200 of the 1973 Constitution as last amended, except that in the proviso to clause (3) the expression “High Court” in the Article under reference could also include a bench of the High Court. Article 15 validated the proclamation of the 5th day of July, 1977, all President’s Orders, Order of the Chief Martial Law Administrator etc. on lines parallel to Article 212-A of the 1973 Constitution. Article-17 related to the oath of President as well as the Chief martial law Administrator was granted, and was deemed always to have had, the power to amend the Constitution. Article 17 related to the oath of office of the Judges of the Supreme Court, High Courts and the Federal Shariat Court. Under clause (1) of the said Article, a person holding office immediately before the commencement of the P.C.O. as Chief Justice of Pakistan or other Judge of the Supreme Court, or Chief Justice or other Judges of the High Court, or Chairman or member of the Federal Shariat Court, could not continue to hold that office if he was not given oath, or did not make oath, in the form set out in the Schedule, before the expiry of such time from such commencement as the President determined or within such further time as was allowed by the President. Under clause (2) of the said Article, a person who made oath as required by clause (1), was bound by the provisions of the P.C.O. and, notwithstanding the judgment of any Court, could not call in question or permit to be called in question the validity of its provisions. The oath prescribed for the Chief Justice and Judges of the High Court, enjoined upon the Judge concerned inter alia to discharge his duties, and perform his functions honestly to the best of the ability and faithfully in accordance with the Provisional Constitution Order, 1981, and the law and to abide by the Provisional Order, 1981. On 16th July, the Lahore High Court (Establishment of benches) Rules, 1981, were framed inter alia providing for the filing and disposal of judicial matter arising within the jurisdiction of the benches and the establishment of Registries at the benches to deal with all administrative work. It also gave power to the Chief Justice to transfer pending proceedings between the principal seat and any of its benches, to determine cases or class of cases which could be disposed of at the principal seat or a Bench as may be deemed expedient, to require Judges to sit for short period at any bench. Circuit Court or Principal Seat, to redefine the areas of the Benches and to pass such orders as may be considered necessary for the efficient working of the benches. The Rules also provided for the payment of remuneration to Judges nominated under Article 7(5) of the Provisional Constitution Order, 1981, to work at the Benches for periods of not less than. On 23rd September, 1981, the Acting Chief Justice, by a notification, directed that all classes of cases arising within the areas assigned to the three permanent Benches would only be filed before and disposed of by those respective benches, excepting certain classes of cases which would be disposed of at the principal seat at Lahore. The latter category inter alia included constitutional matters requiring the interpretation of the Constitution, all Tax matters, all cases under the Companies Act, all land Reforms cases, all cases in which the original orders were passed by a Secretary of the Federal or Provincial Government or by a member of the Board of Revenue, all Murder References (at Lahore and in need of immediate relief. The object of the notification was to remove all doubts as regards the cases that could be dealt with at the principal seat and partly to accommodate requests made by certain Government departments to permit cases relating to their departments to be dealt with only at the principal seat, where they could be more effectively dealt with by the departments concerned. On 28th February, 1982, by the Constitution (Amendment) Order, P.O. 2 of 1982, and Explanation was added under clause (1) of Article 181 of the Constitution of Pakistan to enable a Judge of a high Court, who had retired, to be appointed as an Acting Judge of the Supreme Court. On 10th April, 1982, the Acting Chief Justice by a Notification issued in partial modification of an earlier one, directed that all classes of civil, criminal and constitutional matters arising within the areas assigned to a Bench could be filed before and disposed of by that bench, excepting certain classes of cases which could be disposed of at the Principal seat at Lahore. The latter category inter alia included murder references at the choice of the appellants. Inter Court appeals arising out of decision of a single Judge sitting at a bench where a Division Bench was not available at that Bench and there was urgent application seeking transfer of proceedings from a bench to another bench or to the principal seat, pre-arrest bail matters where the petitioners were at Lahore and were in need of immediate interim relief and applications seeking transfer of proceedings from a subordinate Court in the area assigned to a bench to another subordinate Court in the area assigned to another Bench or to the principal seat. During the period from 1988 till 1999, the constitution of Pakistan 1973 was governed under political regime and except some confrontation between the executive and the judiciary, the Court worked under the said constitution. The question of appointment of judges with reference to relevant Articles of the constitution was deliberated in the Supreme Court of Pakistan to ensure the principles of independence and separation of judiciary. Through a chain of authorities pronounced by the Supreme Court of Pakistan, it has been held that the political executive has to appoint the judges after active consultation with the Chief Justice of Pakistan in the matters relating to the appointment in the Supreme Court and in case of a High Court, the consultation of the Chief Justice of the High Court has to be given due weight. In 1999, the martial law was enforced wherein the constitution of Pakistan 1973 was held in abeyance by the then Chief of Army Staff. A new P.C.O was issued wherein it has been provided that the affairs of the states shall run in accordance with the P.C.O as nearly as possible to conform the constitution of Pakistan 1973. The judges took oath under the P.C.O in the year 2001. Those who were not administered oath or those who opted not to take oath under the P.C.O were relieved of their positions as judges of the superior Courts. In March 2007, the Chief Justice of Pakistan Mr. Justice Iftikhar Muhammad Chaudhry was deposed by the President of Pakistan and a reference under Article 209 was sent to the Supreme Judicial Council against the Chief Justice of Pakistan. By virtue of a landmark judgment of Supreme Court of Pakistan, the reference was declared malafide and Mr. Justice Iftikhar Muhammad Chaudhry was restored to the office of the Chief Justice of Pakistan. The Chief of Army Staff/President of Pakistan again took another step on 3rd November 2007 whereby emergency was imposed in country and a number of judges of Superior Courts including Mr. Justice Iftikhar Muhammad Chaudhry the Chief Justice of Pakistan were taken to house arrest and were deposed from their offices as a result of the enforcement of the emergency. By virtue of historical movement of bar, public, civil society and media, the Chief Justice of Pakistan and other deposed judges of the Superior Courts were again restored to their respective offices on 16 March 2009. The question of appointments of judges to the superior Courts has always remained a hot topic with the government, superior Courts, public, media and the bar. To resolve a long standing controversy over the mode of appointment of judges of superior courts, 18th constitutional amendment was passed to provide a judicial commission and a parliamentary committee to decide the names of qualified persons to be appointed as judges of the superior courts. This amendment was further amended through 19th constitutional amendment in the light of the orders of Hon’ble Supreme Court of Pakistan to settle certain issues with respect to the independence and separation of judiciary developed right after the 18th constitutional amendment was made effective. Provided further that if for any reason the Chief Justice of High Court is not available, he shall also be substituted in the manner as provided in the foregoing proviso. By virtue of sub-Article (8) of Article 175-A of the Constitution 1973, the Judicial Commission by majority of its total membership shall nominate to the Parliamentary Committee one person for each vacancy of a judge in the Supreme Court, a High Court or the Federal Shariat Court, as the case may be. (10)	Out of the eight members of the Committee, four shall be from the Treasury Benches, two from each House and four from Opposition Benches, two from each House. The nomination of members from the Treasury Benches shall be made by the Leader of the House and from the Opposition Benches by the Leader of the Opposition. (11)	Secretary, Senate shall act as the Secretary of the Committee. Provide further that if a nomination is not confirmed, the Commission shall send another nomination. (13) the Committee shall send the name of the nominee confirmed by it or deemed to have been confirmed to the Prime Minister who shall forward the same to the President for appointment. (14)	No action or decision taken by the Commission or a Committee shall be invalid or called in question only on the ground of the existence of a vacancy therein or of the absence of any member from any meeting thereof. (15)	The meetings of the Committee shall be held in camera and the record of its proceedings shall be maintained. (17) The Committee may make rules for regulating its procedure.